PlayerUnknown's Battlegrounds is getting a paid, timed event called the Event Pass where players complete objectives to earn unlockables. The crux of the Event Pass is missions, which will be tasks that players can complete in-game. No examples were given, but PUBG Corp said there will be "dozens of missions" including daily, weekly, and Sanhok-specific objectives. "Just like the crate and key system, you’ll be able to get rewards in the Event Pass system regardless of whether you made a purchase," PUBG Corp explained in a lengthy blog post. "If you haven’t paid for the pass, you can temporarily unlock many of the items (and earn one special item permanently). However, you can also permanently unlock a ton of exclusive reward items by paying to unlock the pass and completing certain missions to “level up” your pass." PUBG Corp said that players will be able to play the missions if they're hesitant about buying the pass, and mission progress will always be tracked. This way, if players want to keep the loot they've earned, they can pay for it in the end. The Event Pass sounds very similar, in theory, to Fortnite's Battle Pass. In the other battle royale game, players can rank up their Battle Pass to earn some rewards for free, but the bulk of the unlockables are in its paid version. There are weekly challenges to help level up the Battle Pass, and it keeps players coming back for gameplay to complete it. The developer of PUBG said that it had been toying with many ideas like releasing new content in a paid DLC format, and talked about how it had dabbled with cosmetic rewards based on scarcity. In the end, the team decided on the Event Pass. 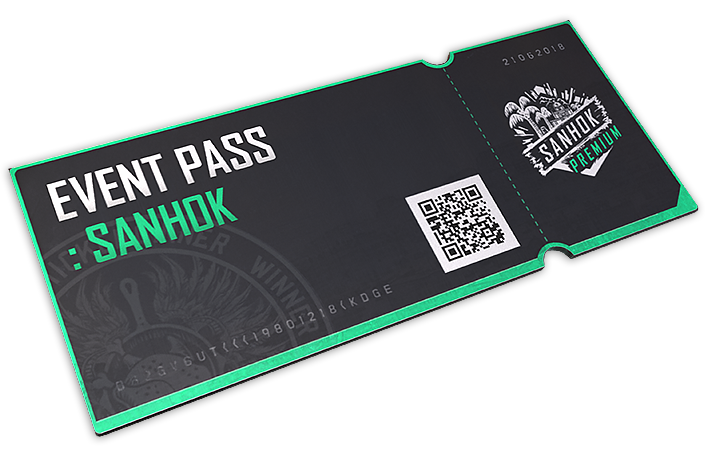 The first iteration of the Event Pass is celebrating the release of Sanhok on June 22, and the item set in the pass will fit the theme of the new map. The Event Pass goes live on the same day and will last for about four weeks. The rewards made available in the Event Pass will not be tradable and they won't be made available to post on the Steam marketplace.